Click the button below to add the Double Surface Bullonse to your wish list. Double bullnose tiles are used for wall and counter corners. They add pleasant look to the surface and eliminate sharp edges. It adds extra safety. 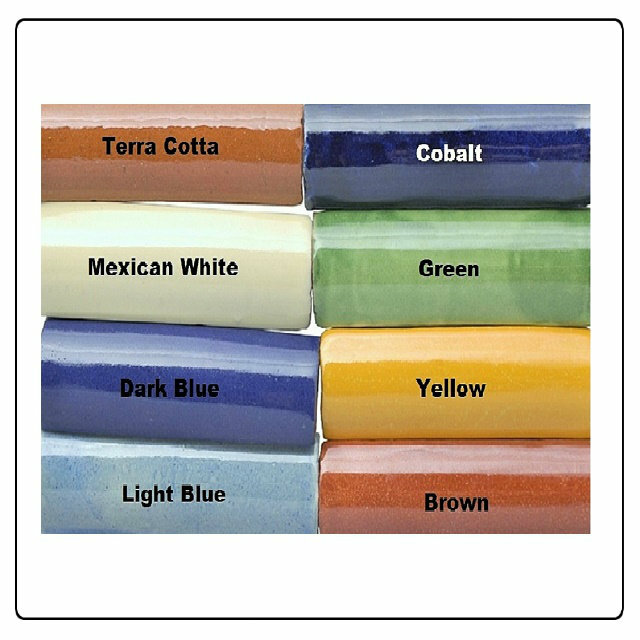 The tiles are hand painted in all standard colors used in Mexico. Usually, a double bullnose trim has the the same color as the rest of the ceramic tiles so it blends entirely within the entire surface. We produce four by four inch size. Please keep in mind it is hand cut rustic product so some discrepancy is expected.